Can Apple succeed where Microsoft failed? 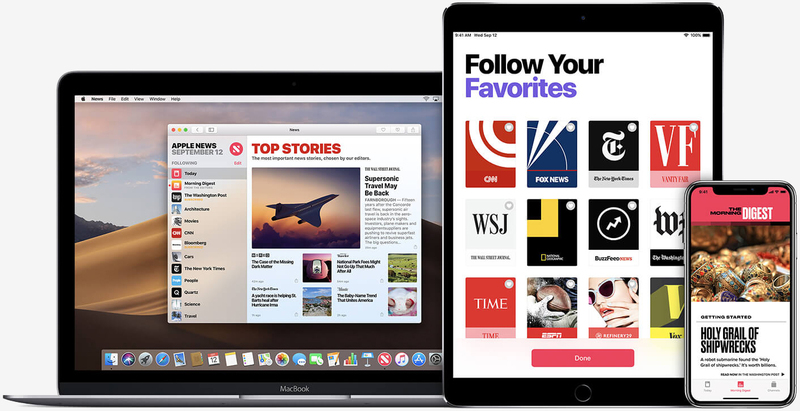 Forward-looking: Over the next couple of years, Apple plans to enable developers to consolidate app development so that writing for one app deploys to all of Apple's platforms. This will have the effect of greatly simplifying development time for apps while helping Apple's bottom line. Last year at Apple's Worldwide Developer Conference (WWDC) 2018, the company previewed a framework that allows developers to port iOS apps to macOS. Apple itself ported the Stocks, News, Home, and Voice Memo apps to macOS Mojave. Now, Bloomberg is reporting that Apple intends to combine iOS (both iPhone and iPad) and macOS apps into a single app framework. Codenamed "Project Marizpan," this initiative aims to make it easier for developers to make apps once and have it work across all of Apple's platforms. Apple will probably reveal more specifics later this year at WWDC 2019. In the meantime, the company reportedly plans to first release an SDK for developers to port iPad apps to the Mac this year. Next year, Apple will expand the SDK to include iPhone apps. Finally, by 2021, developers will hopefully be able to merge iOS and macOS apps into one application called a "single binary" that works across platforms. Initially, the developers will have to submit two applications for both the iOS App Store and Mac App Store with the underlying code being the same. If the full merge is accomplished successfully, developers would ideally be able to submit one application that appears in each app store automatically. That could also pave the way for Apple to combine all of their App Stores into one giant app storefront. If all of this sounds familiar, it's because Microsoft attempted a similar functionality with its Universal Windows Platform a few years ago. The goal was for developers to write once and deploy to all Windows platforms including Xbox and HoloLens. Unfortunately, Microsoft's efforts weren't as fruitful with the company eventually killing off Windows Phone entirely. WWDC 2019 is still a ways off and while it's normally focused on software, Bloomberg also reports that Apple may unveil a new Mac Pro. In a rare apology, Apple's marketing chief Phil Schiller admitted the sad state of the Mac Pro and promised a new modular Mac Pro for 2019. It remains to be seen whether Apple can succeed where Microsoft failed. Although iPhone and iPad sales have slumped, Apple still has the benefit of having one of the most popular mobile platforms in the world. Consolidating everything under one App Store would not only make it easier for developers but also help Apple's bottom line, especially with Apple looking to rely increasingly on services for additional revenue.